This article originally published in the FSR Industry News August 22, 2018. 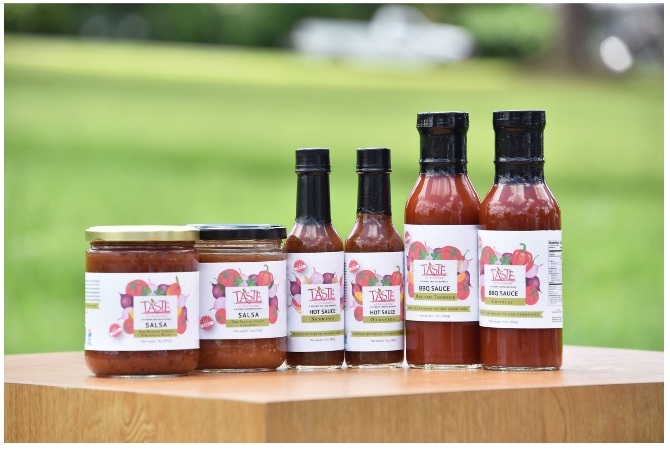 Taste of Immokalee, a social enterprise created and operated by high school students, announced on August 22 a new line of salsas and sauces inspired by the rich agriculture of Immokalee, Florida. The two new products, Pineapple Mango Salsa and Mandarin Tangerine BBQ sauce, feature farm-fresh ingredients, including locally-sourced tomatoes by Lipman Produce, North America’s biggest field tomato grower. Taste of Immokalee allocates its profits toward student education and community relief programs. Founded in 2014 by a group of high school students with a desire to alleviate the extreme poverty in their community, Taste of Immokalee has become a model of “business for good” while equipping high school students with business and leadership skills. One of the unique aspects of the program is that students gain real-world experience and learn both the rewards and challenges of entrepreneurship. Created in partnership with professional mentors, chefs and other food industry specialists, Taste of Immokalee products meet the highest quality standards. Most products align with common health concerns, meeting nutritional criteria such as low calorie, low or no fat, and cholesterol free. Taste of Immokalee products can be purchased locally in select Publix and Neighborhood Organics stores, or purchased online through the Taste of Immokalee website.